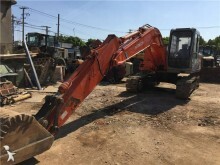 Hitachi Construction Machinery Co., Ltd. (HCM) and Hitachi Construction Machinery (Europe) BV are two branches from the Hitachi group specialising in conception, manufacturing, sale and maintenance of construction machines. In order to meets the needs of professionals, Hitachi Construction offers construction machines for different industries: civil engineering and construction, the mining industry. The track and wheel hydraulic excavators, rigid dumpers, loaders or cranes are the flagship machines from Hitachi. Always wanting to be innovative, the make doesn't stop improving its ranges of materials in terms of comfort, productivity and reliability. 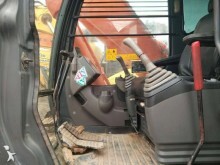 Hitachi Construction became leader on the extra-large excavators market. 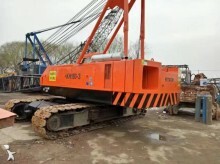 These machines offer a quality of work in tough environment with maximum safety. 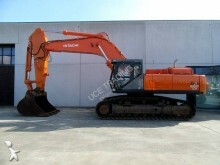 On Europe-construction-equipment.com, you can easily find all the new and used materials from Hitachi. If you already have a Hitachi construction equipment, our website also offers a selection of spare part ads made for your materials. 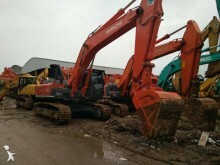 Find the available machines and materials from Hitachi: Track excavator, mini excavator, wheel excavatore, rail/road excavator, demolition excavator,pindustrial excavator, cable shovel, wheel loader, mini-loader, crawler crane, mobile crane, pile-driving machine, drilling vehicle, rigid dumper, track dumper, power generator, hammer, bucket, etc.